It was a big night for the Barcelona superstar and his fans, as he finally broke through and scored against the London club during the Champions League. Lionel Messi scored his first career goal against Chelsea during the 75th minute, to level the Champions League match 1-1 at Stamford Bridge. He made the goal following a giveaway by Chelsea near the edge of their ground, when Andres Iniesta pounced on it and passed it to Messi, who did not miss his opportunity to strike. 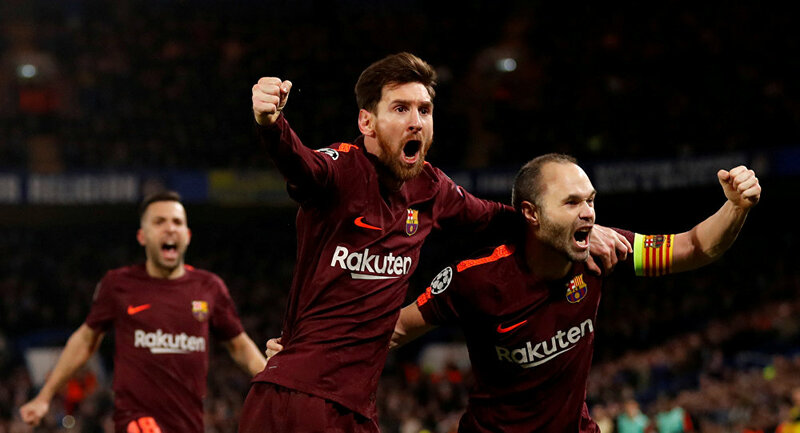 The match finished 1-1, with Barcelona having the upper hand to take advantage in the second leg at the Camp Nou on March 14. ​Messi’s goal was his first ever goal against Chelsea in nine games, sending his fans into a wild frenzy on Twitter. ​The goal also meant that Messi has now scored in 61 of his 122 career Champions League matches. ​Fans shared clips of the moment when the goal was made, praising Messi and saying that there is not a single goal that Messi can’t score. ​Many fans celebrated the teamwork demonstrated by Iniesta and Messi which led to the goal.